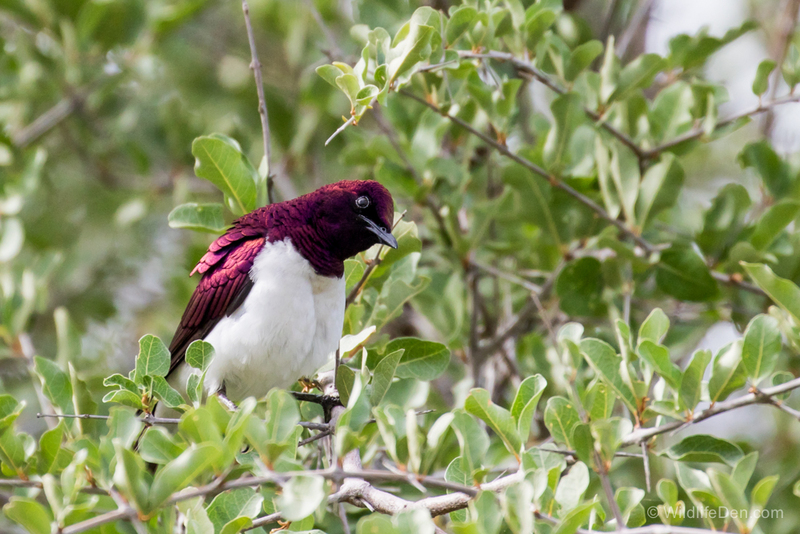 The Violent-Backed Starling (Afrikaans name Witborsspreeu) has the most striking iridescent Amethyst/plum colour with a white breast, the female is brown with a heavily stroked breast. 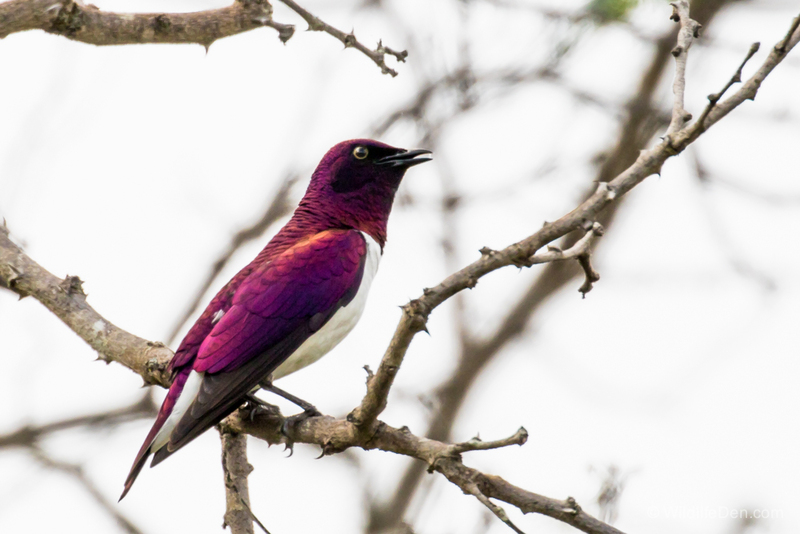 The Violet-backed Starling feeds mainly on fruit but will readily eat insects as well, they normally nest in natural tree holes or fence posts. Occasionally parasitised by Greater and Lesser Honeyguides. They are migrant to South Africa normally October to April. 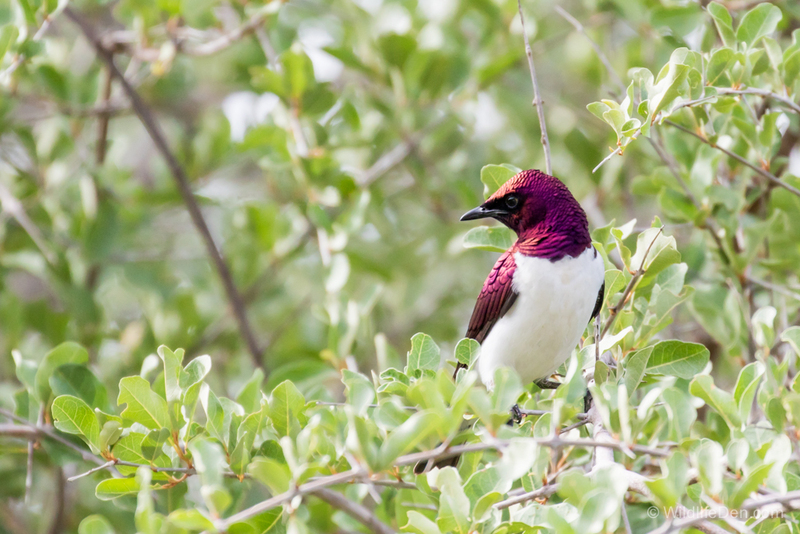 We were so pleased to sight these beautiful birds in the Kruger National Park.